The worst-case scenarios on climate change envisaged by the UN two years ago are already being realised, say scientists at an international meeting. In a statement in Copenhagen on their six key messages to political leaders, they say there is a increasing risk of abrupt or irreversible climate shifts. Even modest temperature rises will affect millions of people, particularly in the developing world, they warn. But, they say, most tools needed to cut carbon dioxide emissions already exist. More than 2,500 researchers and economists attended this meeting designed to update the world on the state of climate research ahead of key political negotiations set for December this year. New data was presented in Copenhagen on sea level rise, which indicated that the best estimates of the Intergovernmental Panel on Climate Change (IPCC) made two years ago were woefully out of date. Business as usual is dead - green growth is the answer to both our climate and economic problems. Scientists heard that waters could rise by over a metre across the world with huge impacts for hundreds of millions of people. There was also new information on how the Amazon rainforest would cope with rising temperatures. A UK Meteorological Office study concluded there would be a 75% loss of tree cover if the world warmed by three degrees for a century. 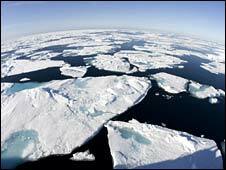 The scientists hope that their conclusions will remove any excuses from the political process. Dr Katherine Richardson, who chaired the scientific steering committee that organised the conference and issued the six "key messages", said the research presented added new certainty to the IPCC reports. "We've seen lots more data, we can see where we are, no new surprises, we have a problem." The meeting was also addressed by Lord Stern, the economist, whose landmark review of the economics of climate change published in 2006 highlighted the severe cost to the world of doing nothing. He now says the report underestimated the scale of the risks, and the speed at which the planet is warming. He urged scientists to speak out and tell the politicians what the world would be like if effective measures against global warming were not taken. He said that if the world was to warm by 5C over the next century, there would be dramatic consequences for millions of people. Rising seas would make many areas uninhabitable leading to mass migrations and inevitably sparking violent conflict. "You'd see hundreds of millions people, probably billions of people who would have to move and we know that would cause conflict, so we would see a very extended period of conflict around the world, decades or centuries as hundreds of millions of people move, " said Lord Stern. "So I think it's very important that we understand the magnitude of the risk we are running." He said that a new, effective global deal was desperately needed to avoid these dramatic scenarios - and the current global economic slowdown was in some ways a help. "Action is rather attractive, inaction is inexcusable. It's an opportunity, given that resources will be cheaper now than in the future, now is the time to get the unemployed of Europe working on energy efficiency." 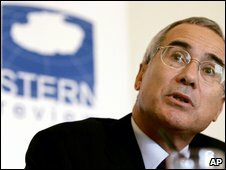 Lord Stern's views were echoed by Danish Prime Minister Anders Fogh Rasmussen. "I hope the whole world will join us and set a two degree goal as an ambition of a climate deal in Copenhagen," said Mr Rasmussen.